I received really nice cover with birds from Japan. 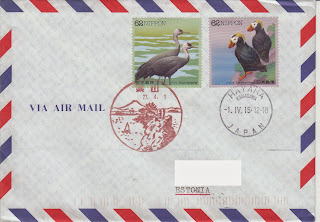 Cover has clear postmark and pictorial postmark. Cover was posted on 1st of April and it arrived to Tallinn on 9th of April. Marco sent me my first cover from Panama. My collection is growing with your help, thank you all :)! Radim sent me wonderful cover from Montenegro, Petrovac. 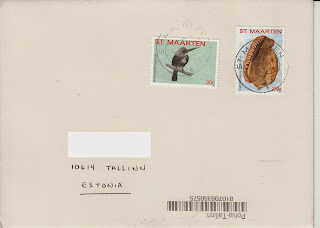 Cover has my favourite kind of stamps, Europa 2010 childrens books. 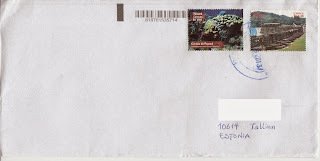 Montenegro issued 2 stamps, this is my only stamp and first cover from Montenegro. Cover was posted on 4th of May. Unfortunally the postmark of Tallinn is unclear, it took about a week to arrive. What a wonderful addition to my collections. Thank you, Patrick! 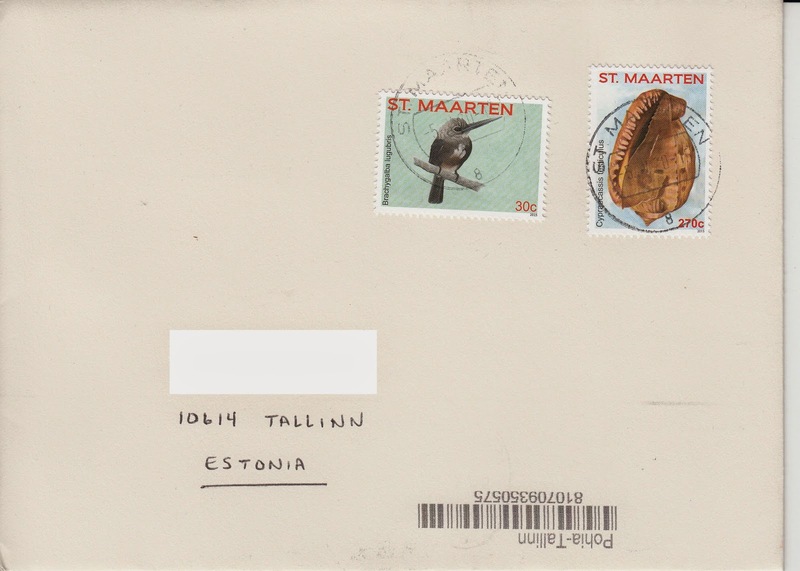 Radim send absolutely wonderful cover with Europa stamps from Gibraltar. 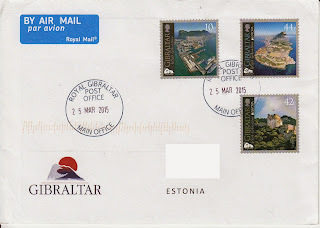 Theme of the stamps is Visit Gibraltar. Cover has nice, clear postmark of 25th of March. 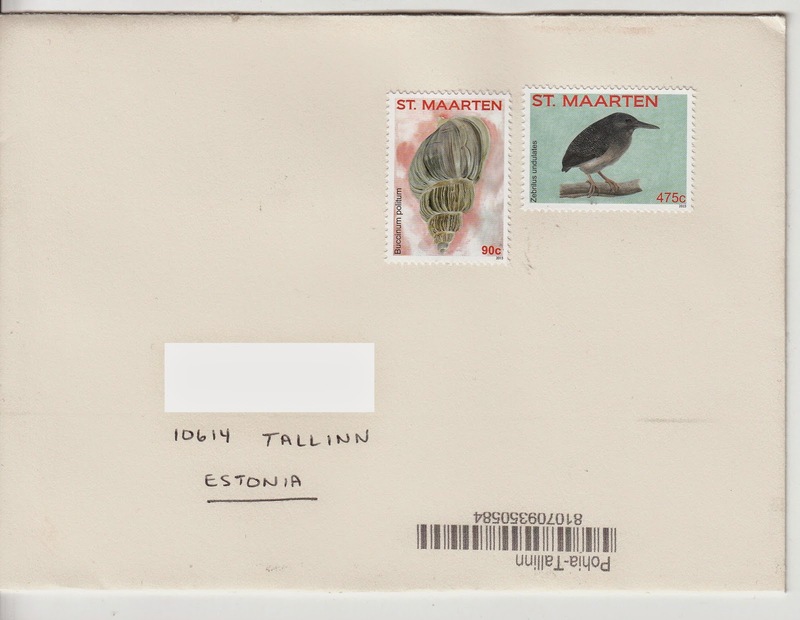 Cover arrived to Tallinn on 9th of April. Thanks! 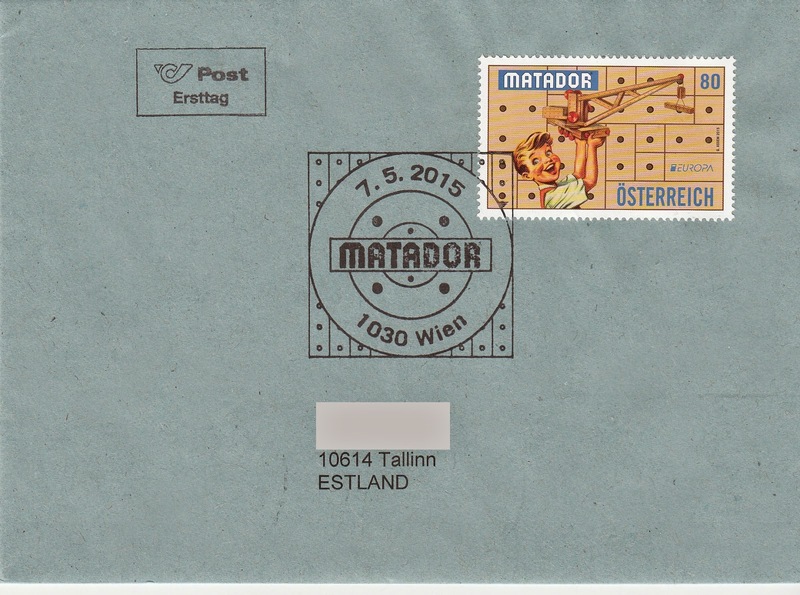 Marco sent me second cover with Europa stamp, this time from Slovakia. 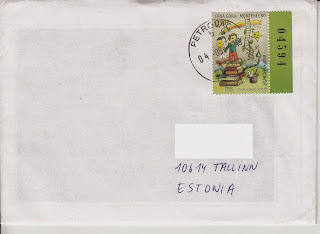 Cover has postmark of 5th of May and it arrived to Tallinn on 10th of May. Marco sent me my first 2015 Europa cover. Theme for 2015 is old toys. 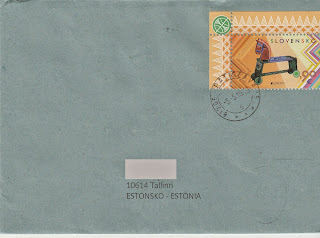 Cover has special first day postmark. 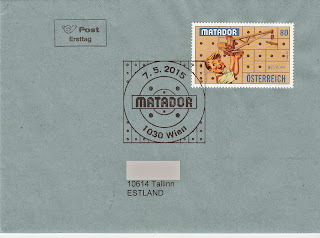 Austrian Europa stamp was issued on 7th of May and it arrived to Tallinn on 10th.